Greece’s EURO 2012 final stage course has begun on Friday 08.06.2012 at 18:00, with the opening match against host country Poland (result 1:1), in Warsaw. The second match of Greece was against the Czech Republic (1:2) on June 12 and the next one will be with Russia on June 16 in Group A of the Euro 2012 tournament held inPoland and Ukraine, between June 8 and July 1. The top two of each group will qualify for the knock out phase. 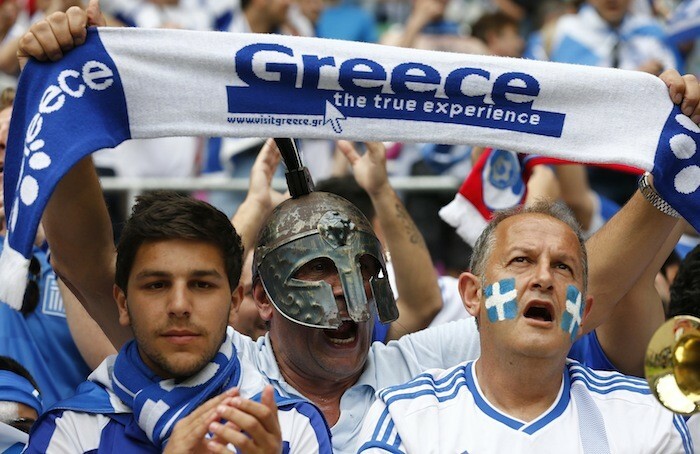 Greece, EURO’s surprise trophy holder in 2004, qualified to the tournament having topped its qualifying group with seven wins and three draws. This time, under a new coach, Fernando Santos, they hope to repeat past good performances. The first football match of the Greek team, on the 8th of June, was attended by the Secretary General of Sports, Panos Bitsaxis.